Be sure to rinse the chickpeas under cold water and dry very well. And the addition of brown sugar helps create a crispy texture so don’t cut down on the sugar. This recipe is adapted from Sally’s Baking Addiction. Preheat oven to 400°F. Line a large baking sheet with Silpat (silicone baking mat) and set aside. 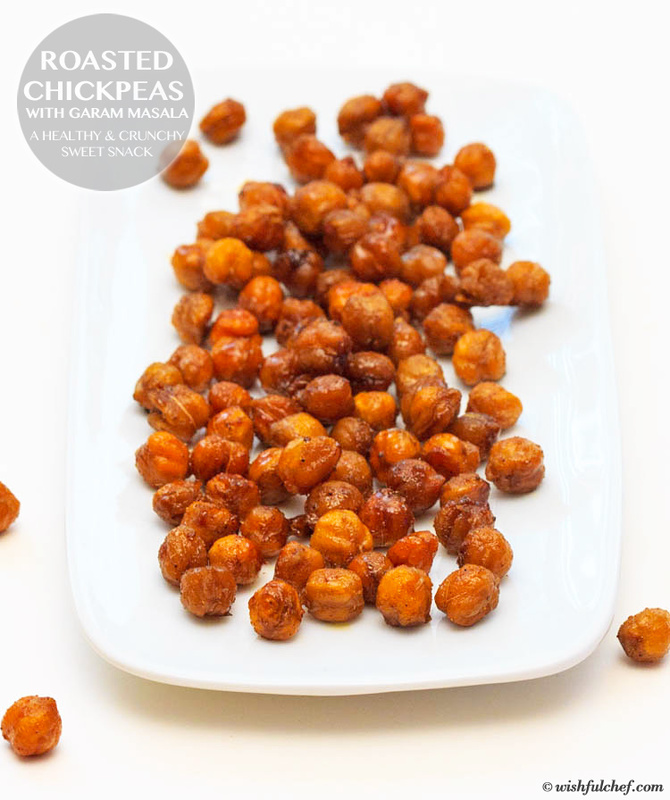 In a strainer, rinse well and drain the chickpeas with cold water to remove starch. Spread the chickpeas out onto your prepared baking sheet. Pat dry with paper or kitchen towel. Make sure to dry the chickpeas very well so they’re nice and crunchy. 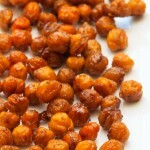 Once the chickpeas are very dry, place into the oven and roast for 15 minutes. Then remove from oven and add the olive oil, brown sugar and garam masala. Mix together and make sure ingredients are evenly coated. Place the chickpeas back into the oven and roast for another 15-20 minutes, stirring halfway through. Turn oven off and leave chickpeas inside and slightly crack the door open. 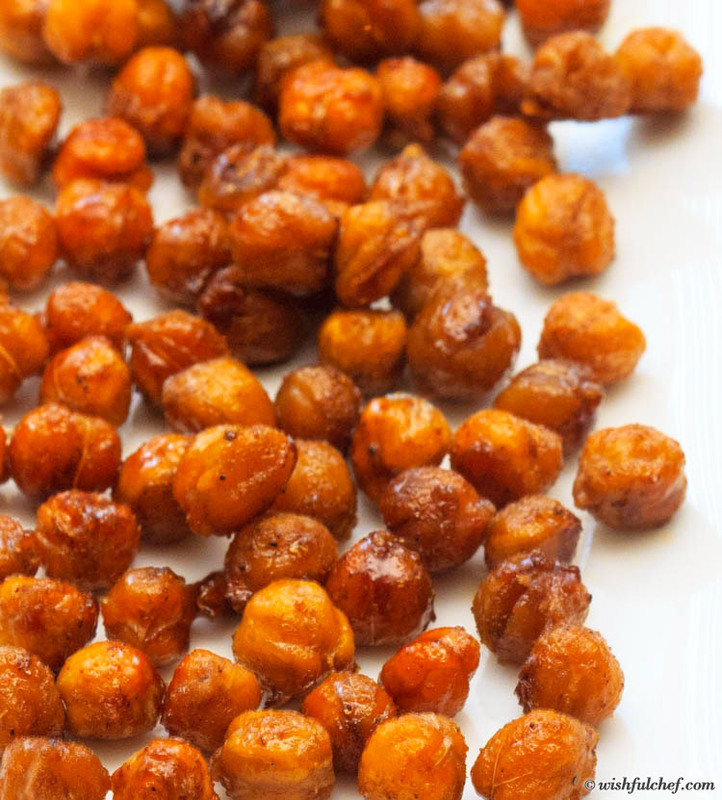 Allow chickpeas to sit in the oven as it cools down for about 30 minutes. This will help get them crunchier. Store at room temperature.